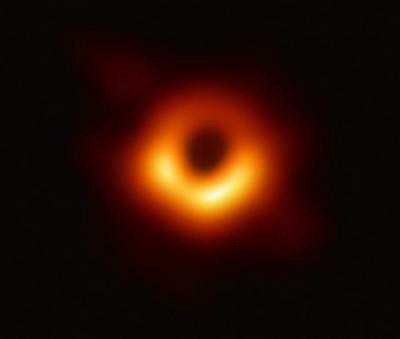 An international team of astronomers has for the very first time captured an image of one of the most exotic and mysterious objects in the universe: a black hole. Ever since Einstein's theory of relativity first predicted them, black holes have captured the imagination of the public and scientists alike. A black hole is an object so dense, literally so massive, that the gravity it generates is so strong that light itself cannot escape and even the fabric of space-time breaks down. "Black holes are one of those things where the public fascination and the scientific fascination completely align," said Daniel Holz, an astrophysicist at the University of Chicago and part of the LIGO team that in 2016 first detected gravitational waves from the collision of two black holes. "From a scientific perspective they are also incredibly extreme. The equations are very clean. You end up with this solution. But the solution is so crazy - the idea that there are black holes - that even Einstein said they are probably not real," said Holz. But real they are and now we have a picture of one. Carlstrom said that his first reaction on seeing the image of the black hole for the first time was: "Holy Smokes! It really works." "For the people who have worked in this field for decades it's just disbelief that it is really there," he added. The first image ever captured of a black hole. The Event Horizon Telescope - a planet-scale array of eight ground-based radio telescopes forged through international collaboration - was designed to capture images of a black hole. On April 10, in coordinated news conferences across the globe, researchers reveal that they have succeeded, unveiling the first direct visual evidence of a supermassive black hole and its shadow. This breakthrough was announced April 10 in a series of six papers published in a special issue of The Astrophysical Journal Letters. The image reveals the black hole at the center of Messier 87, a massive galaxy in the nearby Virgo galaxy cluster. This black hole sits 55 million light-years from Earth and has a mass 6.5 billion times that of the sun. The EHT links telescopes around the globe, including the University of Chicago-run South Pole Telescope, to form an unprecedented Earth-sized "virtual telescope" with unprecedented sensitivity and resolution. The EHT is the result of years of international collaboration, and offers scientists a new way to study the most extreme objects in the universe predicted by Einstein's theory of general relativity. "The South Pole Telescope's location at the southernmost point of the Earth makes it an important component of the global EHT network," said Prof. John Carlstrom, who directs the telescope. "Although M87 is not visible from the South Pole, it is a crucial player in observing other black holes, such as the massive one at the center of our own galaxy." Prof. Daniel Holz discusses a new way to calculate the Hubble constant, a crucial number that measures the expansion rate of the universe and holds answers to questions about the universe's size, age and history. Wendy Freedman is a renowned astronomer who was instrumental in precisely measuring the Hubble constant and determining the age of the universe. Freedman received both her BSc and PhD in astronomy and astrophysics from the University of Toronto. In 1984 she accepted a position as a postdoctoral fellow at the Carnegie Observatories in Pasadena, California. In 1987 Freedman became the first woman to join Carnegie's permanent staff, and in 2003 she became its director. She also initiated the Giant Magellan Telescope project and served as chair of its board of directors from the project's inception in 2003 until 2015. In 2014 she joined the faculty of the University of Chicago as the John and Marion Sullivan University Professor of Astronomy and Astrophysics. Freedman first rose to prominence leading the Hubble Space Telescope Key Project, which began in the mid-1980s and involved an international group of some 30 astronomers. The team used the Hubble telescope to study Cepheid variable stars in order to estimate intergalactic distances and thus determine the expansion rate of the universe. Michael Turner, a veteran cosmologist at the University of Chicago and the organizer of a recent airing of the Hubble tensions, said, "Indeed, all of this is going over all of our heads. We are confused and hoping that the confusion will lead to something good!" The University of Chicago has named Edward W. 'Rocky' Kolb as director of its Kavli Institute for Cosmological Physics, a leading center dedicated to deepening our understanding of the origin and evolution of the universe and the laws that govern it. Kolb, the Arthur Holly Compton Distinguished Service Professor in the Department of Astronomy and Astrophysics, succeeds Michael S. Turner as director, effective April 1. Turner, the Bruce V. & Diana M. Rauner Distinguished Service Professor in the Department of Astronomy and Astrophysics, has served in the role since 2010. "We are thrilled that Rocky Kolb will lead KICP. 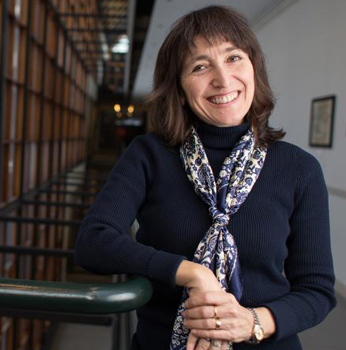 Kolb, together with current KICP director Michael Turner, helped define a new discipline at the intersection of cosmology, particle physics and astrophysics," said Angela V. Olinto, dean of the Physical Sciences Division. "Kolb's extensive leadership experience will guarantee a brilliant future for KICP." The institute was created as an interdisciplinary center to bridge astronomy and physics, exploring physics ranging from the subatomic scale to the birth and constitution of the cosmos. It is an international hub for cosmology and has furthered the careers of many young scientists. At the institute, UChicago researchers tackle questions about the nature of dark energy and dark matter, the first moments of the universe, and nature's highest-energy particles. Members lead some of the most significant international astronomy projects in the field, such as the Dark Energy Survey, an unprecedented survey of distant galaxies to better understand the mysterious force accelerating the expansion of the universe; the South Pole Telescope, which with its third-generation camera will be among the most sensitive instruments observing the cosmic microwave background; and the Giant Magellan Telescope, a giant ground-based telescope under construction in Chile that is expected to produce images that are 10 times sharper than those from the Hubble Space Telescope. "Rocky Kolb is an eminent cosmologist, known for his contributions to the study of the very early universe," said Kevin Moses, vice president of science programs at the Kavli Foundation. "He has had a distinguished career at the University of Chicago and Fermi National Accelerator Laboratory and is a longtime member of KICP. Rocky will continue the strong tradition of leadership at KICP, paving the way for further understanding of our cosmos." Kolb is a fellow of the American Academy of Arts and Sciences and the American Physical Society. He has received numerous honors, including the Dannie Heineman Prize for Astrophysics, which he shared with Turner for their work to understand the early universe. 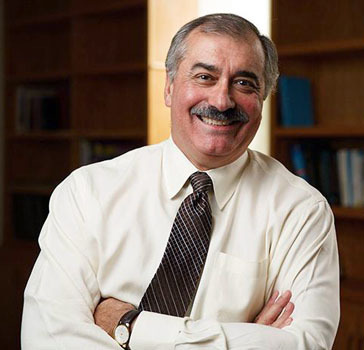 Kolb has formerly served as dean of the Physical Sciences Division, chair of the Department of Astronomy and Astrophysics, and director of Fermi National Accelerator Laboratory's Particle Astrophysics Center. The University established the Center for Cosmological Physics in 2001 with National Science Foundation support. The center was renamed the Kavli Institute for Cosmological Physics in 2004 in honor of Fred Kavli, who through the Kavli Foundation provided $7.5 million to endow the institute and support its programs. UChicago's Kavli Institute works closely with the other Kavli Institutes in astrophysics at Stanford University, Peking University, Massachusetts Institute of Technology, University of California, Berkeley; and the University of Cambridge. 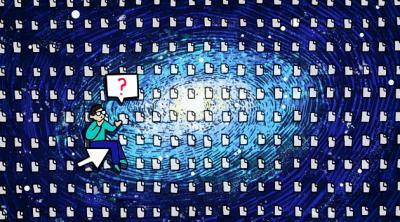 What's at the Edge of the Universe? It is a routine emotion in 2019 to urgently wish, four or five times in a day, to be launched not simply into space but to the very edge of the universe, as far as it is possible to get from the fever dream of bad weather, busted trains and potentially cancerous thigh lesions that constitute life on Earth. But what would be waiting for you, up at the cosmological border? Is it even a border, or is what we're dealing with here more like a kind of inconceivably vast ceiling? Is there even a border/ceiling up there at all? For this week's Giz Asks, we talked with a number of cosmology-oriented physicists to find out. Using telescopes on Earth, we look at light coming from distant places in the universe. The farther away the source of the light is, the longer it takes for that light to get here. So, when you look at far away places, you're looking at what those places were like when the light you saw was created - not at what those places are like today. You can keep looking farther and farther away, corresponding to farther and farther back in time, until you hit a place corresponding to a few hundred thousand years after the Big Bang. Before that, the universe was so hot and dense (well before there were stars and galaxies!) that any light in the universe just rattled around, and we can't see it with our telescopes today. This place is edge of the "observable universe" - sometimes called the horizon - because we can't see beyond it. As time goes on, this horizon changes. If you could look out from another planet somewhere else in the universe, presumably you would see something very similar to what we see here from Earth: your own horizon, limited by the time that has elapsed since the Big Bang, the speed of light, and the how the universe has expanded. What does the place that corresponds to Earth's horizon today look like today? We can't know, since we can only view that place as it was just after the Big Bang, not as it is today. However, all the measurements indicate that all of the universe we can see, including the edge of the observable universe, looks approximately like our local universe does today: with stars, galaxies, and clusters of galaxies and lots of empty space. We also think that the universe is much much bigger than the part of the universe we happen to be able to see here from Earth today, and there is no "edge" to the universe itself. It is just spacetime, expanding. "All the measurements indicate that all of the universe we can see, including the edge of the observable universe, looks approximately like our local universe does today: with stars, galaxies, and clusters of galaxies and lots of empty space." Big Brains podcast: "What Ripples in Space-Time Tell Us About the Universe with Daniel Holz"
All around us in the universe, black holes are smashing into each other with tremendous force. These events are so powerful that they cause ripples in the fabric of space-time - and these ripples, called gravitational waves, travel hundreds of millions of light-years across the universe, eventually passing through the Earth. Prof. Daniel Holz and fellow scientists at LIGO knew that detecting these waves would take us closer to figuring out many profound mysteries, including the size, age and composition of the universe. They built the most sensitive machine ever constructed, detected the waves and opened up an entirely new window on the universe. In this time-and-space-bending episode of Big Brains, the UChicago cosmologist talks black holes, testing Einstein's predictions, and the threat of nuclear annihilation. For the past six years, Fermi National Accelerator Laboratory has been part of an international effort to create an unprecedented survey of distant galaxies and better understand the nature of dark energy - the mysterious force accelerating the expansion of the universe. After scanning about a quarter of the southern skies over 800 nights, the Dark Energy Survey finished taking data on Jan. 9. It ends as one of the most sensitive and comprehensive surveys of its kind, recording data from more than 300 million distant galaxies. Fermilab, an affiliate of the University of Chicago, served as lead laboratory on the survey, which included more than 400 scientists and 26 institutions. The findings created the most accurate dark matter map of the universe ever made, shaping our understanding of the cosmos and its evolution. Other discoveries include the most distant supernova ever detected, a bevy of dwarf satellite galaxies orbiting our Milky Way, and helping to track the first-ever detection of gravitational waves from neutron stars back to its source. According to Dark Energy Survey Director Rich Kron, a Fermilab scientist and professor at the University of Chicago, those results - and the scientists who made them possible - are where much of the real accomplishment of the Dark Energy Survey lies. "The first generations of students and postdoctoral researchers on the Dark Energy Survey are now becoming faculty at research institutions and are involved in upcoming sky surveys," Kron said. "The number of publications and people involved are a true testament to this experiment. Helping to launch so many careers has always been part of the plan, and it's been very successful." Now the job of analyzing that data takes center stage, providing opportunities for new breakthroughs. The survey has already released a full range of papers based on its first year of data, and scientists are now diving into the rich seam of catalogued images from the first several years of data, looking for clues to the nature of dark energy. The first step in that process, according to Fermilab scientist Josh Frieman, a professor at UChicago and former director of the Dark Energy Survey, is to find the signal in all the noise. "We're trying to tease out the signal of dark energy against a background of all sorts of non-cosmological stuff that gets imprinted on the data,' Frieman said. "It's a massive ongoing effort from many different people around the world." Astrophysicist Brian Nord looks for lenses through AI eyes. 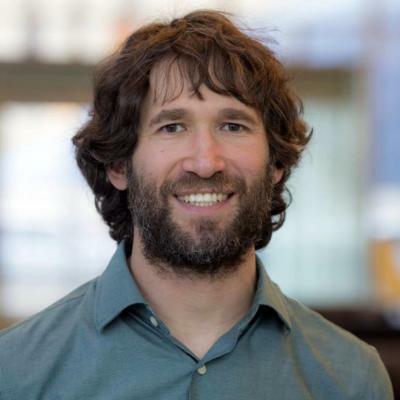 Brian Nord is a visiting research assistant professor in the UChicago Department of Astronomy and Astrophysics, an associate scientist in the Machine Intelligence Group at Fermilab, and a senior member of the Kavli Institute for Cosmological Physics. He is a leader in the institute's Space Explorers educational program for high school students and a cofounder of Deep Skies, a collaborative research group that applies artificial intelligence to astrophysics. Circling our galaxy is a stealthy giant. Astronomers have discovered a dwarf galaxy, called Antlia 2, that is one-third the size of the Milky Way itself. As big as the Large Magellanic Cloud, the galaxy's largest companion, Antlia 2 eluded detection until now because it is 10,000 times fainter. Such a strange beast challenges models of galaxy formation and dark matter, the unseen stuff that helps pull galaxies together. "It's a very odd object and kind of exciting because we don't know yet how to interpret all of its properties," says Andrey Kravtsov of The University of Chicago in Illinois, who was not involved in the work. To keep up with an impending astronomical increase in data about our universe, astrophysicists turn to machine learning. Kevin Schawinski had a problem. In 2007 he was an astrophysicist at Oxford University and hard at work reviewing seven years' worth of photographs from the Sloan Digital Sky Survey - images of more than 900,000 galaxies. He spent his days looking at image after image, noting whether a galaxy looked spiral or elliptical, or logging which way it seemed to be spinning. Technological advancements had sped up scientists' ability to collect information, but scientists were still processing information at the same rate. After working on the task full time and barely making a dent, Schawinski and colleague Chris Lintott decided there had to be a better way to do this. There was: a citizen science project called Galaxy Zoo. Schawinski and Lintott recruited volunteers from the public to help out by classifying images online. Showing the same images to multiple volunteers allowed them to check one another's work. More than 100,000 people chipped in and condensed a task that would have taken years into just under six months. Citizen scientists continue to contribute to image-classification tasks. But technology also continues to advance. The Dark Energy Spectroscopic Instrument, scheduled to begin in 2019, will measure the velocities of about 30 million galaxies and quasars over five years. The Large Synoptic Survey Telescope, scheduled to begin in the early 2020s, will collect more than 30 terabytes of data each night - for a decade. "The volume of datasets [from those surveys] will be at least an order of magnitude larger," says Camille Avestruz, a postdoctoral researcher at the University of Chicago. To keep up, astrophysicists like Schawinski and Avestruz have recruited a new class of non-scientist scientists: machines. Researchers are using artificial intelligence to help with a variety of tasks in astronomy and cosmology, from image analysis to telescope scheduling. Artificial intelligence is an umbrella term for ways in which computers can seem to reason, make decisions, learn, and perform other tasks that we associate with human intelligence. Machine learning is a subfield of artificial intelligence that uses statistical techniques and pattern recognition to train computers to make decisions, rather than programming more direct algorithms. In 2017, a research group from Stanford University used machine learning to study images of strong gravitational lensing, a phenomenon in which an accumulation of matter in space is dense enough that it bends light waves as they travel around it. Because many gravitational lenses can't be accounted for by luminous matter alone, a better understanding of gravitational lenses can help astronomers gain insight into dark matter. In the past, scientists have conducted this research by comparing actual images of gravitational lenses with large numbers of computer simulations of mathematical lensing models, a process that can take weeks or even months for a single image. The Stanford team showed that machine learning algorithms can speed up this process by a factor of millions. Schawinski, who is now an astrophysicist at ETH Zurich, uses machine learning in his current work. His group has used tools called generative adversarial networks, or GAN, to recover clean versions of images that have been degraded by random noise. They recently published a paper about using AI to generate and test new hypotheses in astrophysics and other areas of research. Another application of machine learning in astrophysics involves solving logistical challenges such as scheduling. There are only so many hours in a night that a given high-powered telescope can be used, and it can only point in one direction at a time. "It costs millions of dollars to use a telescope for on the order of weeks," says Brian Nord, a physicist at the University of Chicago and part of Fermilab's Machine Intelligence Group, which is tasked with helping researchers in all areas of high-energy physics deploy AI in their work. UChicago scientists estimate, based on LIGO's quick first detection of a first neutron star collision, that they could have an extremely precise measurement of the universe's rate of expansion within five to ten years. "The Hubble constant tells you the size and the age of the universe; it's been a holy grail since the birth of cosmology. Calculating this with gravitational waves could give us an entirely new perspective on the universe," said study author Daniel Holz, a UChicago professor in physics who co-authored the first such calculation from the 2017 discovery. "The question is: When does it become game-changing for cosmology?" In 1929, Edwin Hubble announced that based on his observations of galaxies beyond the Milky Way, they seemed to be moving away from us - and the farther away the galaxy, the faster it was receding. This is a cornerstone of the Big Bang theory, and it kicked off a nearly century-long search for the exact rate at which this is occurring. To calculate the rate at which the universe is expanding, scientists need two numbers. One is the distance to a faraway object; the other is how fast the object is moving away from us because of the expansion of the universe. If you can see it with a telescope, the second quantity is relatively easy to determine, because the light you see when you look at a distant star gets shifted into the red as it recedes. Astronomers have been using that trick to see how fast an object is moving for more than a century - it's like the Doppler effect, in which a siren changes pitch as an ambulance passes. In new study, UChicago astronomers find no evidence for extra spatial dimensions to the universe based on gravitational wave data. While last year's discovery of gravitational waves from colliding neutron stars was Earth-shaking, it won't add extra dimensions to our understanding of the universe -- not literal ones, at least. University of Chicago astronomers found no evidence for extra spatial dimensions to the universe based on the gravitational wave data. Their research, published in the Journal of Cosmology and Astroparticle Physics, is one of many papers in the wake of the extraordinary announcement last year that LIGO had detected a neutron star collision. The first-ever detection of gravitational waves in 2015, for which three physicists won the Nobel Prize last year, was the result of two black holes crashing together. 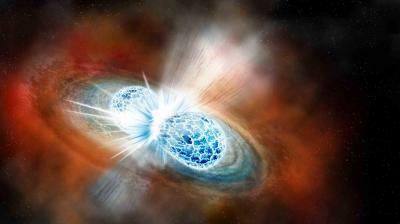 Last year, scientists observed two neutron stars collide. The major difference between the two is that astronomers could see the aftermath of the neutron star collision with a conventional telescope, producing two readings that can be compared: one in gravity, and one in electromagnetic (light) waves. "This is the very first time we've been able to detect sources simultaneously in both gravitational and light waves," said Prof. Daniel Holz. "This provides an entirely new and exciting probe, and we've been learning all sorts of interesting things about the universe." Einstein's theory of general relativity explains the solar system very well, but as scientists learned more about the universe beyond, big holes in our understanding began to emerge. Two of these are dark matter, one of the basic ingredients of the universe; and dark energy, the mysterious force that's making the universe expand faster over time. "This changes how a lot of people can do their astronomy." Scientists have proposed all kinds of theories to explain dark matter and dark energy, and "a lot of alternate theories to general relativity start with adding an extra dimension," said graduate student Maya Fishbach, a coauthor on the paper. One theory is that over long distances, gravity would "leak" into the additional dimensions. This would cause gravity to appear weaker, and could account for the inconsistencies. The one-two punch of gravitational waves and light from the neutron star collision detected last year offered one way for Holz and Fishbach to test this theory. The gravitational waves from the collision reverberated in LIGO the morning of Aug. 17, 2017, followed by detections of gamma-rays, X-rays, radio waves, and optical and infrared light. If gravity were leaking into other dimensions along the way, then the signal they measured in the gravitational wave detectors would have been weaker than expected. But it wasn't. It appears for now that the universe has the same familiar dimensions -- three in space and one of time -- even on scales of a hundred million light-years. But this is just the beginning, scientists said. "There are so many theories that until now, we didn't have concrete ways to test," Fishbach said. "This changes how a lot of people can do their astronomy." 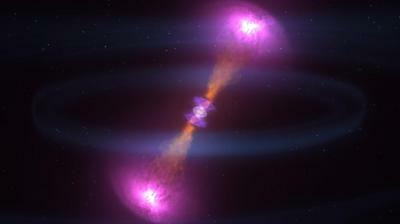 "We look forward to seeing what gravitational-wave surprises the universe might have in store for us," Holz said. Other authors on the space-time study were Princeton's Kris Pardo and David Spergel. On Oct. 1, Fermilab and University of Chicago scientist Rich Kron begins his three-year term as director of the Dark Energy Survey, or DES, hosted by Fermilab. Fellow Fermilab scientist Tom Diehl will serve as deputy director. From 2003-2008, Kron was director of the Sloan Digital Sky Survey, an astronomical survey in which Fermilab was heavily engaged until 2008. In 2010, he stepped into the role of DES deputy director. Now, as incoming director, he succeeds Fermilab and University of Chicago scientist Josh Frieman, who became head of the Fermilab Particle Physics Division earlier this year. The Dark Energy Survey is a multinational, collaborative effort to map hundreds of millions of galaxies and stars to better understand dark energy, the phenomenon behind the increasingly rapid expansion of the universe. Using a powerful camera installed on a telescope on a Chilean mountaintop, DES researchers are creating detailed maps of the southern sky to uncover patterns in the distribution of celestial objects that reflect - or reveal - the impact of dark energy on the formation of structure in the universe. They are also discovering and measuring properties of several thousand supernovae - distant exploding stars - to chart dark energy's influence on the history of cosmic expansion. The data will help researchers narrow in on dark energy's nature. As the new DES director, Kron will lead the 400-strong collaboration through its final data-taking season, which runs from September 2018 to January 2019. "I'm honored to be given the opportunity to lead the Dark Energy Survey to the conclusion of its operations and the production of the final science results," Kron said. "My predecessor Josh Frieman capably led the collaboration through the past eight years, and I have learned a lot from him." 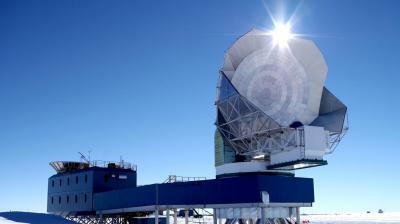 The South Pole telescope is using its new third-generation camera to search for the oldest light in the universe. Deep in Antarctica, at the southernmost point on our planet, sits a 33-foot telescope designed for a single purpose: to make images of the oldest light in the universe. This light, known as the cosmic microwave background, or CMB, has journeyed across the cosmos for 14 billion years - from the moments immediately after the Big Bang until now. Because it is brightest in the microwave part of the spectrum, the CMB is impossible to see with our eyes and requires specialized telescopes. The South Pole Telescope, specially designed to measure the CMB, is using its third-generation camera to carry out a multi-year survey to observe the earliest instants of the universe. Since 2007, the SPT has shed light on the physics of black holes, discovered a galaxy cluster that is making stars at the highest rate ever seen, redefined our picture of when the first stars formed In the universe, provided new insights into dark energy and homed in on the masses of neutrinos. This latest upgrade improves its sensitivity by nearly an order of magnitude - making it among the most sensitive CMB instruments ever built. "Being able to detect and analyze the CMB, especially with this level of detail, is like having a time machine to go back to the first moments of our universe," said John Carlstrom, the Subramanyan Chandrasekhar Distinguished Service Professor at UChicago and the principal investigator for the South Pole Telescope project. "Encoded in images of the CMB light that we capture is the history of what that light has encountered in its 14-billion-year journey across the cosmos," he added. "From these images, we can tell what the universe is made up of, how the universe looked when it was extremely young and how the universe has evolved." Located at the National Science Foundation's Amundsen-Scott South Pole Station, the telescope is operated by a collaboration of more than 80 scientists and engineers from a group of universities and U.S. Department of Energy national laboratories, including three institutions in the Chicago area. These research organizations - the University of Chicago, Argonne National Laboratory and Fermi National Accelerator Laboratory - have worked together to build a new, ultra-sensitive camera for the telescope, containing 16,000 specially manufactured detectors. "The ability to operate a 10-meter telescope, literally at the end of the Earth, is a testament to the scientific capabilities of the researchers that NSF supports and the sophisticated logistical support that NSF and its partners are able to provide in one of the harshest environments on Earth," said Vladimir Papitashvili, Antarctic astrophysics and geospace sciences program director in NSF's Office of Polar Programs. "This new camera will extend the abilities of an already impressive instrument." The telescope is funded and maintained by the National Science Foundation in its role as manager of the U.S. Antarctic Program, the national program of research on the southernmost continent. The CMB is the oldest light in our universe, produced in the intensely hot aftermath of the Big Bang before even the formation of atoms. These primordial particles of light, which have remained nearly untouched for nearly 14 billion years, provide unique clues about how the universe looked at the beginning of time and how it has changed since. "This relic light is still incredibly bright - literally outshining all the stars that have ever existed in the history of the universe by over an order of magnitude in energy," said University of Chicago professor and Fermilab scientist Bradford Benson, who headed the effort to build this new camera. However, because most of the energy is in the microwave part of the spectrum, to observe it we need to use special detectors at observatories in high and dry locations. The South Pole Station is better than anyplace else on Earth for this: it is located atop a two-mile thick ice sheet, and the extremely low temperatures in Antarctica mean there is almost no atmospheric water vapor. "Built with cutting-edge detector technology, this new camera will significantly advance the search for the signature of early cosmic inflation in the cosmic microwave background and allow us to make inroads into other fundamental mysteries of the universe, including the masses of neutrinos and the nature of dark energy," said Kathy Turner of the Department of Energy's Office of Science. Scientists are hoping to plumb this data for information on a number of physical processes and even new particles. "The cosmic microwave background is a remarkably rich source for science," Benson said. "The third-generation camera survey can give us clues on everything from dark energy to the physics of the Big Bang to locating the most massive clusters of galaxies in the universe." "The cosmic microwave background is a remarkably rich source for science." The details of this "baby picture" of the cosmos will allow scientists to better understand the different kinds of matter and energy that make up our universe, such as neutrinos and dark energy. They may even find evidence of the gravitational waves from the beginning of the universe, regarded by many as the "smoking gun" for the theory of inflation. It also serves as a rich astronomical survey; one of the things they'll be looking for are some of the first massive galaxies in the universe. These massive galaxies are increasingly of interest to astronomers as "star farms," forming the first stars in the universe, and since they are nearly invisible to typical optical telescopes, the South Pole Telescope is perhaps the most efficient way to find them. The South Pole Telescope collaboration has operated the telescope since its construction in 2007. Grants from multiple sources - the National Science Foundation, the U.S. Department of Energy and the Kavli and Moore foundations - supported a second-generation polarization-sensitive camera. The latest third-generation focal plane contains ten times as many detectors as the previous experiment, requiring new ideas and solutions in materials and nanoscience. "From a technology perspective, there is virtually nothing that comes 'out of a box,'" said Clarence Chang, an assistant professor at UChicago and physicist at Argonne involved with the experiment. For the South Pole Telescope, scientists needed equipment far more sensitive than anything made commercially. They had to develop their own detectors, which use special materials for sensing tiny changes in temperature when they absorb light. These custom detectors were developed and manufactured from scratch in ultra-clean rooms at Argonne National Laboratory. Finally, the new camera was ready for its 10,000-mile journey to Antarctica by way of land, air and sea. On the final leg, from NSF's McMurdo Station to the South Pole, it flew aboard a specialized LC130 cargo plane outfitted with skis so that it could land on snow near the telescope site, since the station sits atop an ice sheet. The components were carefully unloaded, and a team of more than 30 scientists raced to reassemble the camera during the brief three-month Antarctic summer - since the South Pole is not accessible by plane for most of the year due to temperatures that can drop to -100 F.
The South Pole Telescope's multi-year observing campaign brings together researchers from across North America, Europe and Australia. With the upgraded telescope taking data, the exploration of the cosmic microwave background radiation enters a new era with a powerful collaboration and an extremely sensitive instrument. "The study of the CMB involves so many different kinds of scientific journeys," Chang said. "It's exciting to watch efforts from all over come together to push the frontiers of what we know." The South Pole Telescope collaboration is led by the University of Chicago, and includes research groups at Argonne National Laboratory, Case Western Reserve University, Fermi National Accelerator Laboratory, Harvard-Smithsonian Astrophysical Observatory, Ludwig Maximilian University of Munich, McGill University, SLAC National Accelerator Laboratory, University of California at Berkeley, University of California at Davis, University of California at Los Angeles, University of Colorado at Boulder, University of Illinois at Urbana-Champaign, University of Melbourne and University of Toronto, as well as individual scientists at several other institutions. The South Pole Telescope is funded primarily by the National Science Foundation's Office of Polar Programs and the U.S. Department of Energy Office of Science. Partial support also is provided by the NSF-funded Physics Frontier Center at the KICP, the Kavli Foundation, and the Gordon and Betty Moore Foundation. 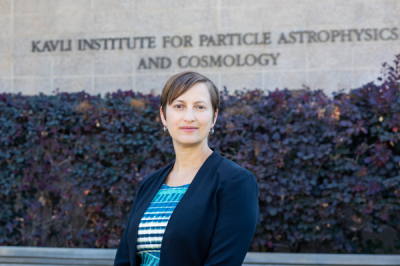 Risa Wechsler has been appointed director of the Kavli Institute for Particle Astrophysics and Cosmology (KIPAC), a joint institute of the Department of Energy's SLAC National Accelerator Laboratory and Stanford University. On Sept. 15, she'll take over from Tom Abel, whose five-year term at the helm of the institute is coming to an end. KIPAC was founded in 2003 to explore new frontiers in astrophysics and cosmology. As a joint institute of SLAC and Stanford, it brings together experts in theory, computation, experiments and observations - the combined power needed to answer fundamental questions about the universe. Risa Wechsler, associate professor of physics and of particle physics and astrophysics at SLAC and Stanford, has been named third director of the Kavli Institute for Particle Astrophysics and Cosmology (KIPAC). "KIPAC brought a completely new field of science to SLAC and Stanford," says SLAC Director Chi-Chang Kao. "Tom's leadership has been instrumental in raising the institution's profile. Risa's scientific excellence and experience will ensure KIPAC continues to grow and prosper." Wechsler, an associate professor of physics at Stanford and of particle physics and astrophysics at SLAC, joined KIPAC in 2006. She became the head of the institute's theory group in 2009 and assistant director of scientific programs in 2013. From 2014 to 2018, Wechsler was co-spokesperson for the Dark Energy Spectroscopic Instrument Collaboration, and she has been chair of Stanford Physics Department's Committee on Equity and Inclusion since 2016. In 2017, she was named a fellow of the American Physical Society. "In addition to being a highly regarded and accomplished researcher committed to outstanding science, Risa understands how the close partnership between Stanford and SLAC benefits both research and education in astrophysics and cosmology. She also recognizes the importance of supporting young talent in these disciplines," says Ann Arvin, vice provost and dean of research at Stanford. "KIPAC will thrive as a world-class research institute for the study of astrophysics and cosmology under her leadership." Wechsler says, "This is an exciting time to be guiding KIPAC's future. We have a number of incredible research programs that will start taking data in the next five years. Those projects have been incubating for a long time, and soon we'll see the fruit of those many years of hard work. I'm also looking forward to broadening the scope of the astrophysics we do. New windows are opening on many aspects of the cosmos, from exoplanets to gravitational waves to galaxies farther away than any we've seen before, and they promise to greatly enrich our understanding of the universe over the next decade." 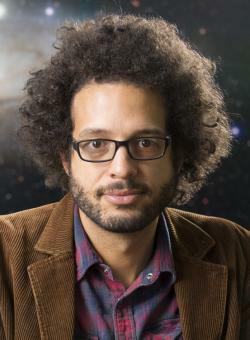 Wechsler, whose own research focuses on galaxy formation and cosmology using a combination of large simulations and galaxy surveys, hopes to strengthen connections with other academic units across the SLAC and Stanford campuses and leverage opportunities in data science, Earth science, engineering, and other areas. She points out that it's the people who make KIPAC what it is: "It has been a wonderful environment for young, exceptional scientists, and I believe we can make that environment even better." She'll be the third KIPAC director, following Abel and Roger Blandford, the institute's founding director. "Risa will be great for KIPAC," says Abel. "She knows it inside out and has been integral to making it what it is today. Her leadership will provide an exciting future and will help making KIPAC an even more fun and productive place to do research." The astrophysicist Eugene Parker found only doubters 60 years ago when he proposed that a type of "wind" flows from the sun. Now NASA is sending up a spacecraft. Now NASA is sending up a spacecraft named in his honor. The Parker Solar Probe, set to launch Saturday, will fly closer to the sun than any previous mission. It will investigate why the sun�s atmosphere is hotter than the sun itself, how to protect earthly electric grids from space weather, and more. The Parker Solar Probe launches from Cape Canaveral at 2:31 a.m. CDT on Aug. 12. Prof. Eugene Parker becomes first person to see launch of mission named in their honor. At 2:31 a.m. CDT on Sunday, Aug. 12, NASA's Parker Solar Probe blasted off into the predawn darkness, on its way to explore the sun on a mission that will send it closer to our star than any previous spacecraft. With its liftoff, University of Chicago Prof. Emeritus Eugene Parker became the first person to witness the launch of a namesake spacecraft. The Parker Space Probe is the first NASA mission named in honor of a living person. "All I can say is wow, here we go," said Parker, who is the S. Chandrasekhar Distinguished Service Professor Emeritus in Physics at UChicago. "[Now I] really have to turn from biting my nails ... to thinking about all the interesting things which I don't know yet. We're in for some learning the next several years." On a clear, muggy night at Cape Canaveral, with the occasional shooting star from the Perseids meteor shower streaking overhead, Parker watched from NASA's viewing terrace along with three generations of his family. Cheers and applause erupted as the rocket climbed into the sky, and minutes later, shed its booster engines in a flare of light. After officials announced the spacecraft was safely on its way, the company hugged, shook hands and took celebratory sips of Parker Solar Pale Ale, made in honor of the occasion by local company Crystal Lake Brewing. It was a humbling moment for Parker, who was attending his first NASA launch. "It's a bit like the Taj Mahal. We've all seen pictures of the building and what a graceful structure it is, but ... video and paintings and so forth don't quite catch it somehow," Parker said. "It's in a different state when you're looking at the real thing." "All I can say is wow, here we go. We're in for some learning the next several years." NASA said the honor befits the magnitude of Parker's contributions to science. Parker's revolutionary scientific career began with his 1958 proposal of the "solar wind," which radically changed scientists' understandings of the solar system. He suggested, and later NASA missions confirmed, that the sun radiates an intense stream of charged particles that travel throughout the solar system at supersonic speeds. This is visible as the halo around the sun during an eclipse, and it can affect missions in space as well as satellite communication systems on Earth. The discovery reshaped our view of space, stars and their surroundings. It also established a new field of astrophysics, leading NASA last year to name its newest and most ambitious mission to the sun after Parker as a tribute to his work. "We're so excited and proud that Eugene Parker's namesake mission, the Parker Solar Probe, launched this morning," said Angela Olinto, dean of the Division of the Physical Sciences at UChicago. "By first proposing the concept of the solar wind in 1958, Parker revolutionized our understanding of the solar system, and we eagerly await data from this mission that will help us continue to unravel the mysteries of our universe." Once it leaves Earth, the Parker Solar Probe will use seven flybys of Venus to slowly reduce its orbital distance and drop closer to the sun - eventually flying into the corona, facing searing temperatures of more than a million degrees Fahrenheit. The data it collects will provide clues to explore the still-mysterious physics behind the sun - including questions first raised by Parker's work a half-century ago, such as the nature of the mechanism that flings the solar wind off the sun. Scientists around the world are eagerly awaiting the results, which will shed light on everything from the magnetic underpinnings of stars to the conditions that would await astronauts traveling to Mars to why the corona is so much hotter than the surface of the sun. "The science has started on its way, and it won't stop until we know a lot more about the structure and heating of the solar corona," Parker said. Among the company at the Kennedy Space Center was Johns Hopkins Applied Physics Laboratory scientist Nicola Fox, the Parker Solar Probe mission scientist. "I can't think of anybody who would be more deserving of having a mission named after them than Gene Parker," she said at a news conference in Chicago held before the launch. "Physics 101 is Gene Parker's papers. It doesn't matter what you do, Gene Parker turns up somewhere in that literature." The solar wind was only the first of Parker's discoveries; he went on to study other phenomena, such as cosmic rays and the magnetic fields of galaxies. His name is littered across the field of astrophysics: the Parker Instability, which describes magnetic fields in galaxies; the Parker equation, which describes particles moving through plasmas; the Sweet-Parker model of magnetic fields in plasmas; and the Parker limit on the flux of magnetic monopoles. Prof. Emeritus Eugene Parker speaks at NASA�s May 2017 announcement of the Parker Solar Probe. The ambitious mission to study the sun will launch in August 2018. On Aug. 11, the launch window opens for NASA's Parker Solar Probe to begin its journey to the corona of the sun, a mission that will bring a spacecraft closer to the sun than any ever before. Watching from the Kennedy Space Center in Florida will be University of Chicago Prof. Emeritus Eugene Parker, who has dedicated his life to unraveling the sun's mysteries. He is the first living person to have a spacecraft named after him and is now preparing at the age of 91 to become the first person to see his namesake mission thunder into space. Parker is best known for his pioneering research on the sun, which radically changed scientists' understandings of the solar system. In the 1950s, he proposed the concept of solar wind, showing that the sun radiates a constant and intense stream of charged particles that travel throughout the solar system at about one million miles per hour. This is visible as the halo around the sun during an eclipse, and it can affect missions in space as well as satellite communication systems on Earth. "The solar probe is going to a region of space that has never been explored before. It's very exciting that we'll finally get a look," said Parker, who was on the UChicago faculty from 1955 to 1995. "One would like to have some more detailed measurements of what's going on in the solar wind. I'm sure that there will be some surprises. There always are." Parker's theory of the solar wind challenged conventional understandings of the sun, causing scientists at the time to dismiss his work. Parker barely managed to publish the original 1958 paper that presented his theory. But he firmly defended his work, and he was ultimately proven correct in 1962 with data collected by the first successful interplanetary mission, the Mariner II space probe to Venus. "Gene Parker's story is about challenging assumptions. He came up with a new theory and proved that theory through meticulous, scientific calculations," said Angela Olinto, dean of the Division of the Physical Sciences at UChicago. "Gene carries on a great tradition at UChicago of questioning the status quo to make discoveries and create whole new fields of science." 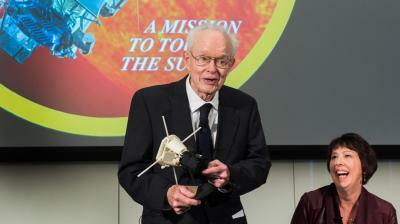 NASA last year named its most important mission to the sun after Parker as a tribute to his work, which established a new field of solar research. He stands as a giant among researchers who continue to push the boundaries of science, such as UChicago scientists Wendy Freedman, who was first to precisely measure the expansion rate of the universe, and Michael Turner, who coined the term dark energy. The Parker Solar Probe is scheduled to launch during a period that opens Aug. 11. The spacecraft will use seven flybys of Venus to slowly reduce its orbital distance and drop closer to the sun. Three of the spacecraft's orbits will bring it within 3.83 million miles of the sun's surface - approximately seven times closer than any other previous mission. The spacecraft's observations will help scientists understand why the corona is hotter than the sun's surface, how the solar wind is accelerated and what drives intense, energetic particles that can affect astronauts or interfere with onboard satellite electronics, among other questions. "I'm sure that there will be some surprises. There always are." Although Parker is the first living person to have a spacecraft named after him, he is the fifth of his peers at UChicago to have the honor, with the other four having won the recognition posthumously. They include alumnus Edwin Hubble, AB 1910, PhD 1917, with the Hubble Space Telescope; Nobel laureate Subrahmanyan Chandrasekhar, a UChicago professor who worked with Parker, with the Chandra X-ray Observatory; Enrico Fermi, a Nobel laureate and UChicago professor, with the Fermi Gamma-Ray Telescope; and Nobel laureate Arthur Holly Compton, a UChicago professor, with the Compton Gamma Ray Observatory. Those who want to view the launch can watch on NASA's livestream. The daily launch window runs from 3:15 to 5:15 a.m. CST starting on Aug. 11. A Sun-skimming mission like Parker Solar Probe has been a dream of scientists for decades, but only recently has the needed technology - like the heat shield, solar array cooling system, and fault management system - been available to make such a mission a reality. Early on an August morning, the sky near Cape Canaveral, Florida, will light up with the launch of Parker Solar Probe. 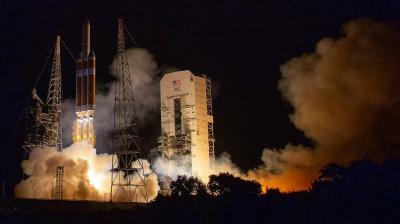 No earlier than Aug. 6, 2018, a United Launch Alliance Delta IV Heavy will thunder to space carrying the car-sized spacecraft, which will study the Sun closer than any human-made object ever has. On July 20, 2018, Nicky Fox, Parker Solar Probe's project scientist at the Johns Hopkins University Applied Physics Lab in Laurel, Maryland, and Alex Young, associate director for science in the Heliophysics Science Division at NASA's Goddard Space Flight Center in Greenbelt, Maryland, introduced Parker Solar Probe's science goals and the technology behind them at a televised press conference from NASA's Kennedy Space Center in Cape Canaveral, Florida. "We've been studying the Sun for decades, and now we're finally going to go where the action is," said Young. Our Sun is far more complex than meets the eye. Rather than the steady, unchanging disk it seems to human eyes, the Sun is a dynamic and magnetically active star. The Sun's atmosphere constantly sends magnetized material outward, enveloping our solar system far beyond the orbit of Pluto and influencing every world along the way. Coils of magnetic energy can burst out with light and particle radiation that travel through space and create temporary disruptions in our atmosphere, sometimes garbling radio and communications signals near Earth. The influence of solar activity on Earth and other worlds are collectively known as space weather, and the key to understanding its origins lies in understanding the Sun itself. "The Sun's energy is always flowing past our world," said Fox. "And even though the solar wind is invisible, we can see it encircling the poles as the aurora, which are beautiful - but reveal the enormous amount of energy and particles that cascade into our atmosphere. We don't have a strong understanding of the mechanisms that drive that wind toward us, and that's what we're heading out to discover." That's where Parker Solar Probe comes in. The spacecraft carries a lineup of instruments to study the Sun both remotely and in situ, or directly. Together, the data from these state-of-the-art instruments should help scientists answer three foundational questions about our star. One of those questions is the mystery of the acceleration of the solar wind, the Sun's constant outflow of material. Though we largely grasp the solar wind's origins on the Sun, we know there is a point - as-yet unobserved - where the solar wind is accelerated to supersonic speeds. Data shows these changes happen in the corona, a region of the Sun's atmosphere that Parker Solar Probe will fly directly through, and scientists plan to use Parker Solar Probe's remote and in situ measurements to shed light on how this happens. Second, scientists hope to learn the secret of the corona's enormously high temperatures. The visible surface of the Sun is about 10,000 F - but, for reasons we don't fully understand, the corona is hundreds of times hotter, spiking up to several million degrees F. This is counterintuitive, as the Sun's energy is produced at its core. "It's a bit like if you walked away from a campfire and suddenly got much hotter," said Fox. Finally, Parker Solar Probe's instruments should reveal the mechanisms at work behind the acceleration of solar energetic particles, which can reach speeds more than half as fast as the speed of light as they rocket away from the Sun. Such particles can interfere with satellite electronics, especially for satellites outside of Earth's magnetic field. To answer these questions, Parker Solar Probe uses four suites of instruments. The FIELDS suite, led by the University of California, Berkeley, measures the electric and magnetic fields around the spacecraft. FIELDS captures waves and turbulence in the inner heliosphere with high time resolution to understand the fields associated with waves, shocks and magnetic reconnection, a process by which magnetic field lines explosively realign. The WISPR instrument, short for Wide-Field Imager for Parker Solar Probe, is the only imaging instrument aboard the spacecraft. WISPR takes images from of structures like coronal mass ejections, or CMEs, jets and other ejecta from the Sun to help link what's happening in the large-scale coronal structure to the detailed physical measurements being captured directly in the near-Sun environment. WISPR is led by the Naval Research Laboratory in Washington, D.C.
Another suite, called SWEAP (short for Solar Wind Electrons Alphas and Protons Investigation), uses two complementary instruments to gather data. The SWEAP suite of instruments counts the most abundant particles in the solar wind - electrons, protons and helium ions - and measures such properties as velocity, density, and temperature to improve our understanding of the solar wind and coronal plasma. SWEAP is led by the University of Michigan, the University of California, Berkeley, and the Smithsonian Astrophysical Observatory in Cambridge, Massachusetts. Finally, the ISʘIS suite - short for Integrated Science Investigation of the Sun, and including ʘ, the symbol for the Sun, in its acronym - measures particles across a wide range of energies. By measuring electrons, protons and ions, ISʘIS will understand the particles' lifecycles - where they came from, how they became accelerated and how they move out from the Sun through interplanetary space. ISʘIS is led by Princeton University in New Jersey. Parker Solar Probe is a mission some sixty years in the making. With the dawn of the Space Age, humanity was introduced to the full dimension of the Sun's powerful influence over the solar system. In 1958, physicist Eugene Parker published a groundbreaking scientific paper theorizing the existence of the solar wind. The mission is now named after him, and it's the first NASA mission to be named after a living person. Only in the past few decades has technology come far enough to make Parker Solar Probe a reality. Key to the spacecraft's daring journey are three main breakthroughs: The cutting-edge heat shield, the solar array cooling system, and the advanced fault management system. "The Thermal Protection System (the heat shield) is one of the spacecraft's mission-enabling technologies," said Andy Driesman, Parker Solar Probe project manager at the Johns Hopkins Applied Physics Lab. "It allows the spacecraft to operate at about room temperature." Other critical innovations are the solar array cooling system and on-board fault management systems. The solar array cooling system allows the solar arrays to produce power under the intense thermal load from the Sun and the fault management system protects the spacecraft during the long periods of time when the spacecraft can't communicate with the Earth. Using data from seven Sun sensors placed all around the edges of the shadow cast by the heat shield, Parker Solar Probe's fault management system protects the spacecraft during the long periods of time when it can't communicate with Earth. 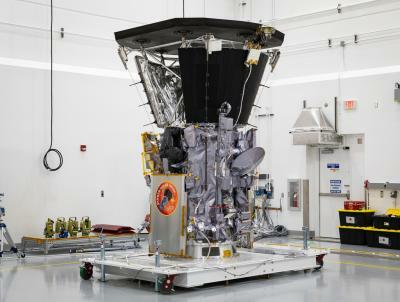 If it detects a problem, Parker Solar Probe will self-correct its course and pointing to ensure that its scientific instruments remain cool and functioning during the long periods when the spacecraft is out of contact with Earth. Parker Solar Probe's heat shield - called the thermal protection system, or TPS - is a sandwich of carbon-carbon composite surrounding nearly four and half inches of carbon foam, which is about 97% air. Though it's nearly eight feet in diameter, the TPS adds only about 160 pounds to Parker Solar Probe's mass because of its lightweight materials. Though the Delta IV Heavy is one of the world's most powerful rockets, Parker Solar Probe is relatively small, about the size of a small car. But what Parker Solar Probe needs is energy - getting to the Sun takes a lot of energy at launch to achieve its orbit around the Sun. That's because any object launched from Earth starts out traveling around the Sun at the same speed as Earth - about 18.5 miles per second - so an object has to travel incredibly quickly to counteract that momentum, change direction, and go near the Sun. The timing of Parker Solar Probe's launch - between about 4 and 6 a.m. EDT, and within a period lasting about two weeks - was very precisely chosen to send Parker Solar Probe toward its first, vital target for achieving such an orbit: Venus. "The launch energy to reach the Sun is 55 times that required to get to Mars, and two times that needed to get to Pluto," said Yanping Guo from the Johns Hopkins Applied Physics Laboratory, who designed the mission trajectory. "During summer, Earth and the other planets in our solar system are in the most favorable alignment to allow us to get close to the Sun." The spacecraft will perform a gravity assist to shed some of its speed into Venus' well of orbital energy, drawing Parker Solar Probe into an orbit that - already, on its first pass - carries it closer to the solar surface than any spacecraft has ever gone, well within the corona. Parker Solar Probe will perform similar maneuvers six more times throughout its seven-year mission, assisting the spacecraft to final sequence of orbits that pass just over 3.8 million miles from the photosphere. "By studying our star, we can learn not only more about the Sun,' said Thomas Zurbuchen, the associate administrator for the Science Mission Directorate at NASA HQ. "We can also learn more about all the other stars throughout the galaxy, the universe and even life's beginnings." Parker Solar Probe is part of NASA's Living with a Star Program, or LWS, to explore aspects of the Sun-Earth system that directly affect life and society. LWS is managed by NASA's Goddard Space Flight Center in Greenbelt, Maryland, for the Heliophysics Division of NASA's Science Mission Directorate in Washington. Johns Hopkins APL manages the Parker Solar Probe mission for NASA. APL designed and built the spacecraft and will also operate it. 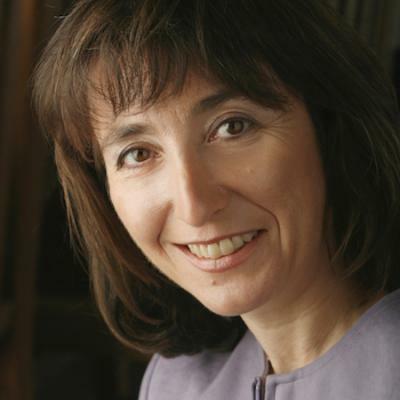 Angela V. Olinto, the Albert A. Michelson Distinguished Service Professor in the Department of Astronomy and Astrophysics, has been appointed dean of the Division of the Physical Sciences at the University of Chicago. Olinto is a leading scholar in astroparticle physics and cosmology, focusing on understanding the origin of high-energy cosmic rays, gamma rays and neutrinos. Her appointment as dean is effective July 1. �Angela brings depth of University experience and scholarly expertise to this leadership role, making her an excellent choice as dean,� wrote President Robert J. Zimmer and Provost Daniel Diermeier in announcing her appointment. Olinto�s research includes important contributions to the physics of quark stars, inflationary theory and cosmic magnetic fields. She currently leads NASA sub-orbital and space missions to discover the origins of high-energy cosmic rays and neutrinos. This includes a NASA-funded balloon mission planned for 2022 that will use an ultra-sensitive telescope to detect cosmic rays and neutrinos coming from deep space. �I am thrilled and humbled to be appointed to lead this historic and dynamic division, home to visionary scholars who constantly redefine the boundaries of the physical and mathematical sciences. I look forward to collaborating with faculty, students and staff to advance the important work of the division,� Olinto said. Olinto joined the UChicago faculty in 1996 and served as chair of the Department of Astronomy and Astrophysics from 2003 to 2006 and from 2012 to 2017. 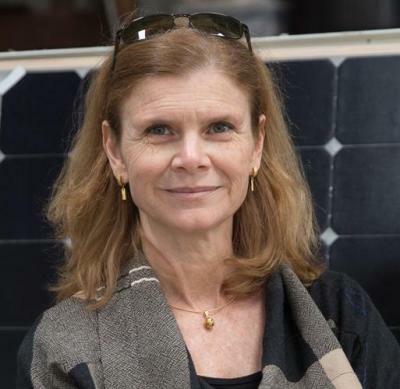 She is the leader of the POEMMA and EUSO space missions and a member of the Pierre Auger Observatory, which are international projects designed to discover the origin of high-energy cosmic rays. She is a fellow of the American Physical Society, was a trustee of the Aspen Center for Physics, and serves on advisory committees for the National Academy of Sciences, U.S. Department of Energy, the National Science Foundation and NASA. 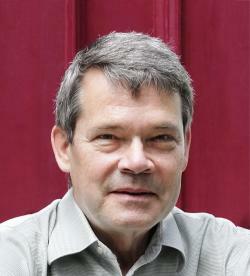 Olinto�s awards and honors include the Chaire d'Excellence Award of the French Agence Nationale de la Recherche in 2006, the University�s Llewellyn John and Harriet Manchester Quantrell Award for Excellence in Undergraduate Teaching in 2011, and the Faculty Award for Excellence in Graduate Teaching and Mentoring in 2015. Olinto received her undergraduate degree from Pontificia Universidade Catolica in Rio de Janeiro, Brazil and her doctoral degree from the Massachusetts Institute of Technology. Olinto succeeds Edward �Rocky� Kolb, the Arthur Holly Compton Distinguished Service Professor of Astronomy & Astrophysics, whose work over the last five years enhanced the division�s historic strengths as a leading center of scientific discovery. Kolb will return to his full-time work on the faculty next month. The selection of the new dean by Zimmer and Diermeier was informed by the recommendations of an elected faculty committee chaired by Stuart A. Kurtz, professor in the Department of Computer Science. Prof. Wendy Freedman spent much of her career measuring the age of the universe. Now she's working on a project that may very well give scientists a chance to glimpse into its birth. Freedman, the John & Marion Sullivan University Professor of Astronomy & Astrophysics, works in the field of observational cosmology, measuring the expansion rate of the universe. In 2001, she and a team of scientists found that the universe is around 13.7 billion years old -- far more precise than the previous estimate in the 10- to 20-billion-year-old range. Freedman was the founding leader from 2003 until 2015 of an international consortium of researchers and universities (including UChicago) to build the world's largest telescope high in the mountains of Chile. The Giant Magellan Telescope will be as tall as the Statue of Liberty when complete, and ten times more powerful than the Hubble Space Telescope -- with the ability to look back at the dawn of the cosmos. "In our field, the new developments have come with new technology," Freedman said. "Without exception, from the time that Galileo first turned a telescope to the sky in 1609, every time we've built a new capability we've made new discoveries, which is why we're so excited about this." The telescope, 80 feet in diameter and weighing more than 20 tons, will be the first of its kind to see fine details like a planet's atmosphere, which could one day help discover life on other planets. The telescope is expected to be operational starting in 2024. "If we really were able to show that there's life on a planet outside of our own solar system, that will be one of the discoveries that will not only be exciting for astronomers but will change human kind�s perspective on our place in the universe," Freedman said. On this episode of Big Brains, Freedman discusses her research on measuring the age of the universe, her leadership of the Giant Magellan Telescope and the search for life outside our solar system.